Hello TNM readers and welcome to the TNM Home Media News Recap for 04/05/18. We are going to be trying a new format so you, our reader, will be informed of what is going on in the world of Blu-ray and Home Media News. We’ll also at times include some indie gaming items that we love and the big guys might miss. This will also be a way to support our partners and let you stay abreast of what they have coming out. Just click on the links and it will scroll to the news you want to see. 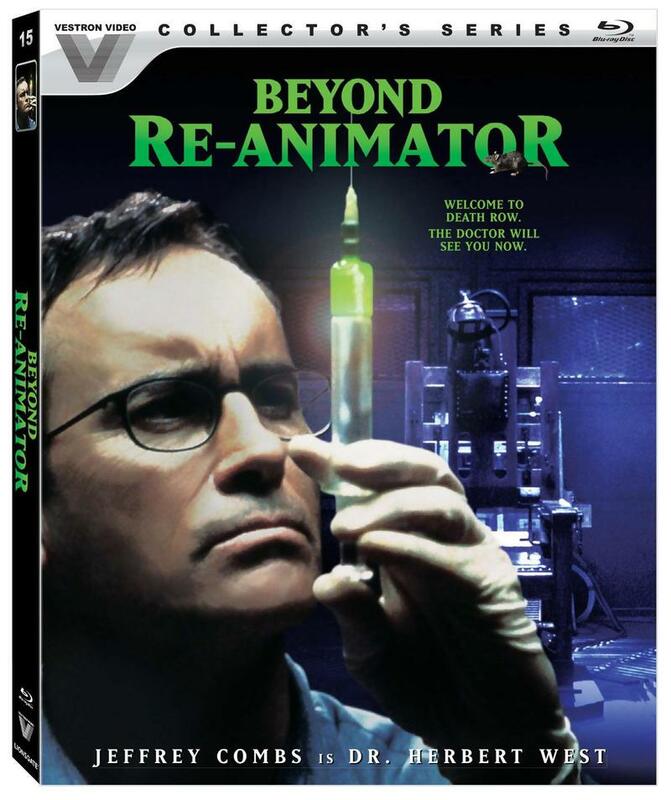 Beyond Re-Animator (2003) – Lionsgate Home Entertainment has announced that it will release on Blu-ray Brian Yuzna’s film Beyond Re-Animator (2003), starring Jeffrey Combs, Jason Barry, Elsa Pataky, Tommy Dean Musset, and Bárbara Elorrieta. The release will be available for purchase on July 24. Synopsis: After causing the Miskatonic University Massacre, Dr. Herbert West has been serving a prison sentence for the past 14 years. When Howard, a new young doctor, comes to work as the prison MD and requests Dr. West’s assistance, Dr. West discovers that Howard has something he left behind 14 years ago…. Dagon (2001) – H.P. 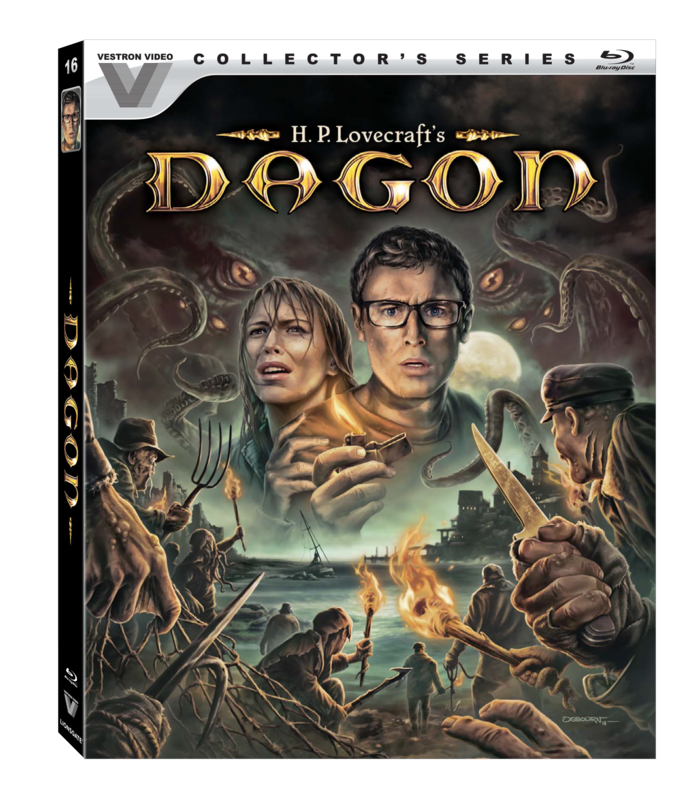 Lovecraft’s iconic tale comes to life when the Vestron Video Collector’s Series releases the modern retelling of the horror classic Dagon on limited edition Blu-ray™ on July 24 from Lionsgate. Directed by horror mastermind Stuart Gordon (Dolls, Re-Animator) and starring Ezra Godden, evil rises and a legend unleashes the rage of Hell after a yacht crashes on the Spanish coast and the survivors are forced to face their nightmares. Packed with all-new, never-before-seen special features, including interviews with Stuart Gordon and producer Brian Yuzna, as well as a conceptual art gallery from artist Richard Raaphorst, and featuring custom illustrated art, the restored and remastered Dagon limited edition Blu-ray will be available for the suggested retail price of $39.97. Synopsis: Residents of a fishing village tempted by greed evolve into freakish half-human creatures and must sacrifice outsiders to an ancient, monstrous god of the sea. 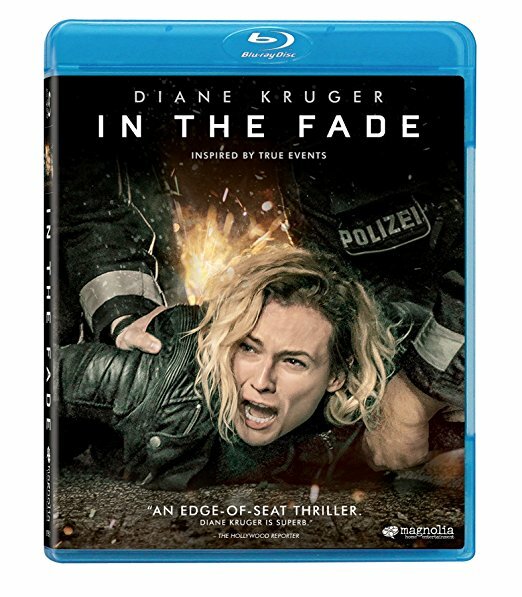 In the Fade (2017) – Magnolia Home Entertainment has detailed its upcoming Blu-ray release of director Fatih Akin’s (Head-On) thriller In the Fade (2017), starring Diane Kruger, Denis Moschitto, Numan Acar, Johannes Krisch, and Ulrich Tukur. The release will be available for purchase on May 1. Earlier this year, In the Fade won Golden Globe Award for Best Foreign Language Film. Synopsis: Out of nowhere, Katja’s life falls apart when her husband Nuri and little son Rocco are killed in a bomb attack. Her friends and family try to give her the support she needs, and Katja somehow manages to make it through the funeral. But the mind numbing search for the perpetrators and reasons behind the senseless killing complicate Katja’s painful mourning, opening wounds and doubts. Danilo, a lawyer and Nuri’s best friend, represents Katja in the eventual trial against the two suspects: a young couple from the neo-Nazi scene. The trial pushes Katja to the edge, but there’s simply no alternative for her: she wants justice. The 15:17 to Paris (2018) – Warner Bros. Home Entertainment has officially announced that it will release Clint Eastwood’s new film The 15:17 to Paris, starring Anthony Sadler, Alek Skarlatos, Spencer Stone, Judy Greer, and Jenna Fischer. The release will be available for purchase on May 22. 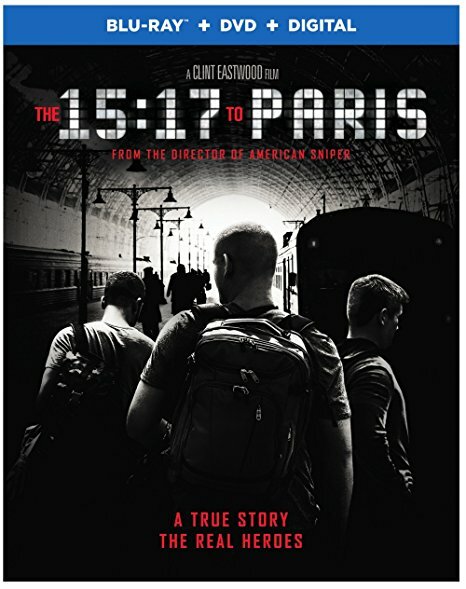 Synopsis: From Clint Eastwood comes The 15:17 to Paris, which tells the real-life story of three men whose brave act turned them into heroes during a highspeed railway ride. Portrait of Courage – Join Oscar winner Eastwood and his creative team as they reveal the aspects of the story that moved them and why they took the bold step of casting the three Americans to play themselves in the film. Gridlocked coming to Blu-ray on June 14th!